When women are born, the ovarian capacities are unique. By the time they start to see menstruation, their ovarian reserve decreases until they enter menapause. The menstrual period ends with the end of the eggs, ie menopause. The average age of menopause is 40-45. The approach of the menopausal period means not only a decrease in ovarian capacity but also a decrease in egg quality. One of the elements that determines egg quality is the chromosomes that are carried in the egg cells and carried by the genes that will pass from the mother to the child, that is to be transferred to the next generation. The drop in egg quality leads directly to chromosomal degradation. These distortions lead to abnormalities, especially in the number of chromosomes. Normally, the number of chromosomes that should be in an individual is 46, and numerically there is no insertion or deletion. However, chromosomal defects that lead to a decline in the number of eggs and poor quality in the 40-year-old mother's candidates are a major obstacle to gestation. 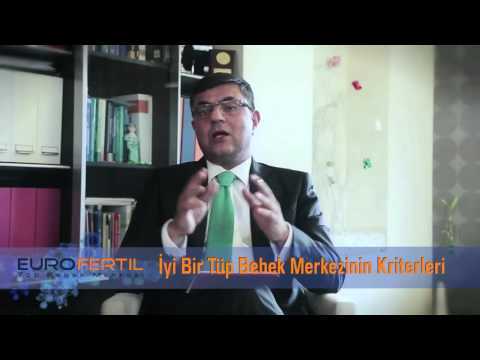 The importance of the combination of in vitro fertilization and genetic testing and in vitro fertilization in order to reduce or eliminate most of the above mentioned substances that prevent the pregnancy of future mothers over the age of 40 is further promoted with the babies that the mother candidates will take in their lap. Genetic tests to be applied in combination with in vitro fertilization therapy for female candidates older than 40 years of age (advanced age) should quantitatively analyze chromosomes. As EuroFertil, we quantitatively scan all chromosomes (46 chromosomes) with the qPCR preimplantation genetic screening test that we especially recommend that for mothers over 40 years of age. We can provide the pregnancy which can not be formed due to the decrease of the number of eggs and the quality in this number by qPCR test. The qPCR preimplantation genetic screening test does not only involve the formation of gestations but also the selection of healthy embryos and the emergence of genetically healthy infants. As a result, If you are over 40 years old and want to be a mother, you should apply for in-vitro fertilization treatment together with genetic testing to increase your chances of pregnancy and remove genetic defects.